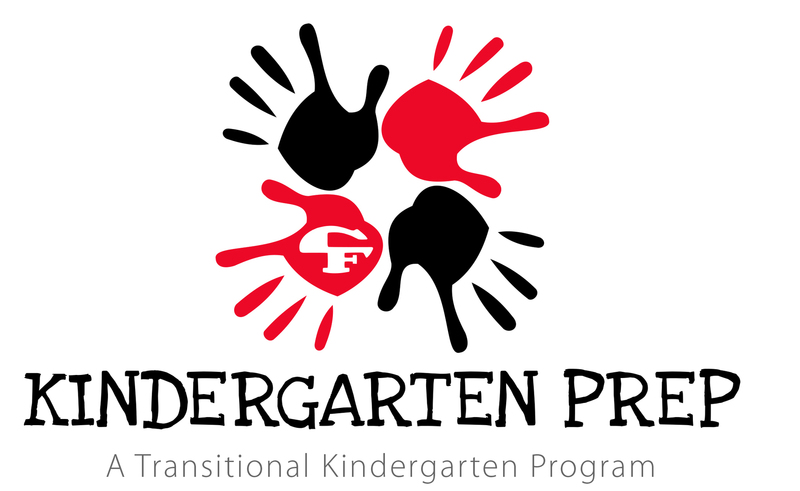 The Cedar Falls Community School District would like to offer a Kindergarten Prep program beginning with the 2019-2020 school year. The Kindergarten Prep classroom will be open to all Cedar Falls eligible students and will be located at Orchard Hill Elementary School. This transitional kindergarten program will help serve as a bridge between preschool and kindergarten for those younger students who would benefit from an additional year before beginning kindergarten. This will allow more time for them to develop academic, emotional, and social skills. Children must be five years old by September 15th of the school year for which they are enrolling. Kindergarten standards, assessment and reporting activities will be applied to this classroom, but students will be given more time for learning. If a student in Kindergarten Prep exceeds the expectations at the end of the year, he/she could be recommended for first grade. In the state of Iowa, a transitional kindergarten program is considered a form of retention for those students who enroll in kindergarten the following year. At the end of the school year, the staff will work with the parent to determine if the student will move to kindergarten or 1st grade. Kindergarten Prep will follow the same calendar and hours as the Cedar Falls Elementary School Kindergarten program. Breakfast and supervision begins at 8:30 a.m. The instructional day begins at 8:45 a.m. and school is dismissed at 3:45 p.m., except for Wednesdays when school is dismissed at 1:50 p.m.
Pre-registration will be held from April 1-30. The class will have approximately 20 students. We will determine placement by June 1. Preference will be given based on previous educational experiences and birthdates in the early fall and summer. If we have several students that are wanting the program, we may ask you to bring your child in for a short assessment. Transportation will be provided to Orchard Hill for students who meet the District guidelines. All students moving to Kindergarten or 1st grade the following year will need to attend their home school based on their residence and the Cedar Falls Schools Boundary Map. Parents interested in the Kindergarten Prep program are encouraged to contact the district office at 319-553-3000 if you have additional questions. What is a Kindergarten Prep Program? A Kindergarten Prep program is a transitional kindergarten program designed to serve as a bridge between the preschool and kindergarten program. Some students need a little more time to develop academically, socially, and emotionally and would benefit from having an extra year before beginning a “typical” kindergarten program. The students are taught by a certified teacher. How is this program different from Kindergarten? Kindergarten standards, assessment and reporting activities will be applied in the same way as all other kindergarten classrooms; however, the Kindergarten Prep teacher will be able to slow the pace of instruction to allow more time to meet the needs of the students. Additionally, more time will be spent on social emotional activities. The students will be introduced to kindergarten standards, but it is possible that they may have difficulty meeting all of these standards by the end of the school year. Students are considered kindergarten students and will be required to participate in state-wide kindergarten assessments. Will students in Kindergarten Prep have access to the same activities and opportunities as kindergarten students? Students in this program will have the same opportunities as kindergarten students and will participate in art, P.E., and music. They will also be given the opportunity to attend field trips. How will students be selected for this program? This classroom will have approximately 20 students. If we have more students register than we have available space, placement will be determined based on early fall and summer birthdates and previous educational experiences. We may find it necessary to ask parents to bring their children in for a short assessment. Kindergarten Prep will follow the same calendar and hours as the Cedar Falls Elementary School Kindergarten program. Transportation by school bus shall be available without cost, in accordance with the Code of Iowa and Board Policy 702.1. Students in grades K-6 residing more than two miles from the attendance center, except that the distance limitation may be reduced by the administration to one mile in instances where traffic and/or walking conditions are adjudged to warrant the reduction. Why can’t my child take another year of preschool instead? The State-wide Voluntary Preschool Program is only available to children who are not kindergarten age eligible. The school district does not receive state funding for kindergarten age eligible students to attend preschool. Why are children in Kindergarten Prep considered to be retained if they move to kindergarten the next year? The District must report Kindergarten Prep students to the state as kindergarten students in order to receive state funding. Retention is defined as any action taken to maintain a student in the current grade for an additional consecutive year. Districts must use this definition to determine which learners have been retained. What if my child is ready for 1st grade after spending a year in Kindergarten Prep? If it is determined that the student has mastered the kindergarten standards, a team consisting of the teachers, administrator, and parents will determine the next steps.